Japandi word is the fusion between Japanese and Scandinavian words. It’s the name of a rising design trend and philosophy which blends both styles. 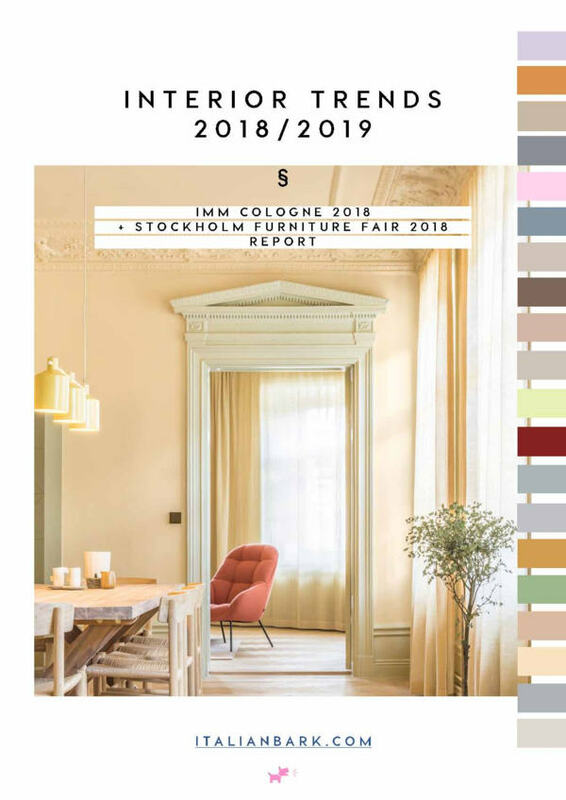 Experts say this is the year of Japandi interior trend and it’s not difficult to understand why: Japandi interiors are clean and minimalist but warm and cozy at the same time. And absolutely beautiful. More than just an interior style, Japandi is a philosophy. 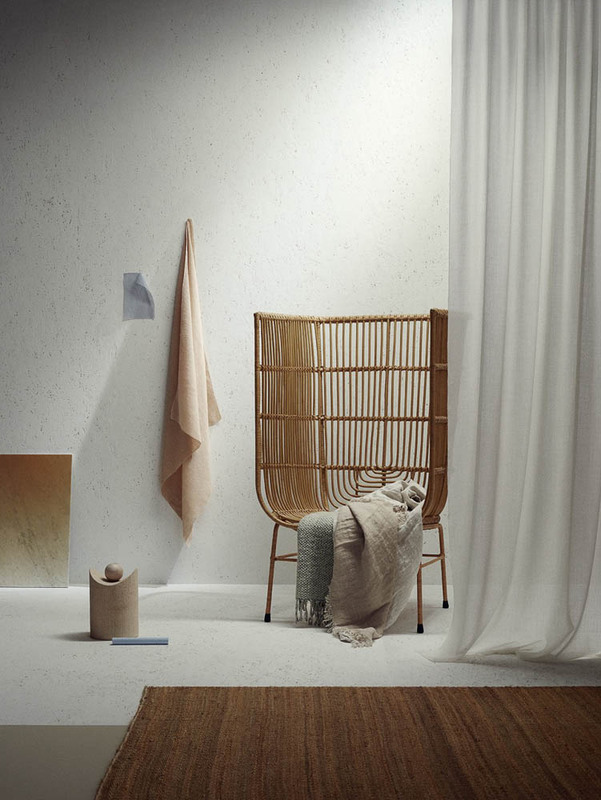 Indeed, it puts together Scandinavian minimalism with wabi sabi Japanese ethos, that finds perfection in imperfection. This is translated into the beauty of craftmanship and of traditional decor, of raw materials and simple and natural elements. Japanese and Scandinavian philosophy have a lot in common. I noticed this for example during our travel in Finland last year. Both cultures have very similar aesthetics and design, based on minimalism, on a quiet appreciation of beauty in the functional, and a calm and serene approach to life. Let’s see together how to create a perfect Japandi interior. but I must tell you this, if you adore colour and decorated spaces, this look isn’t for you! Il termine Japandi è la fusione tra le parole Japanese e Scandinavian: una parola da tenere a mente, nonché una delle tendenze più attuali di questo 2017 e destinata a durare anche nei prossimi anni. 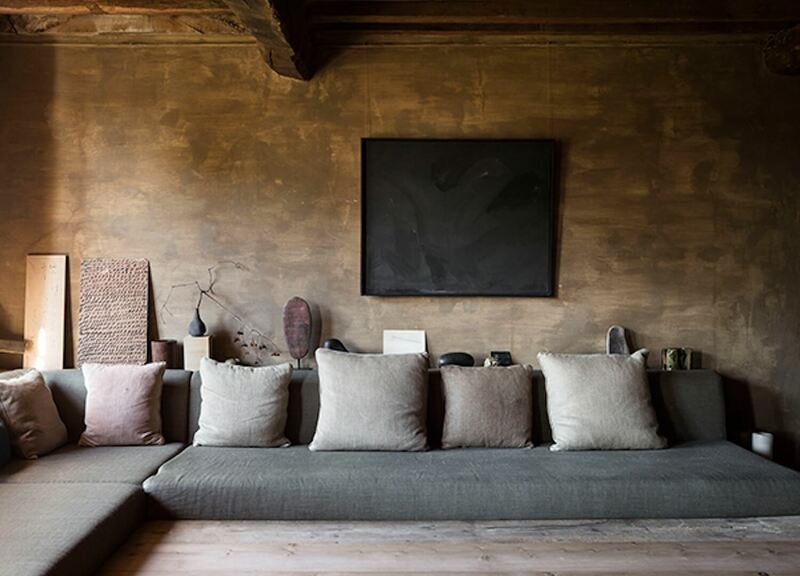 Gli esperti dicono che questo è proprio l’anno dello stile Japandi e non è difficile capire il perché: gli interni Japandi sono bellissimi perché minimalisti ma allo stesso tempo accoglienti. 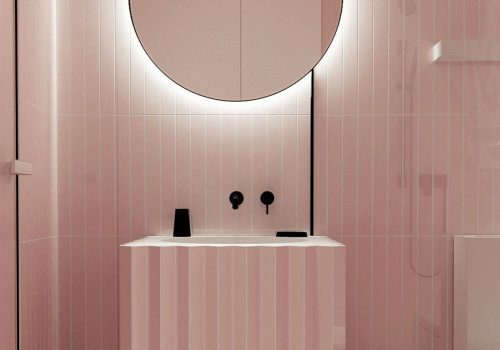 Non si tratta solo di uno stile d’arredo, ma Japandi è una vera e propria filosofia: una fusione del minimalismo Scandinavo con l’etica wabi sabi Giapponese, che si fonda nel principio del trovare la perfezione nelle imperfezioni. Questo nel design e negli interni si traduce nell’amore verso il fatto a mano, i materiali naturali, gli oggetti tradizionali. Va detto che la filosofia di vita e il design giapponese e scandinavo hanno moltissimo in comune. Lo avevo ad esempio già notato durante il nostro viaggio in Finlandia dell’anno scorso: entrambe le culture sono contraddistinte da un approccio calmo e timido nella vita che si riflette in un design minimale e basato sulla bellezza della natura e dei materiali. Vediamo insieme come creare un perfetto interno Japandi: ma attenzione, se amate colori accesi e decorazione, questo stile non fa per voi! A warm and neutral colour palette is the background of every japandi style interior. 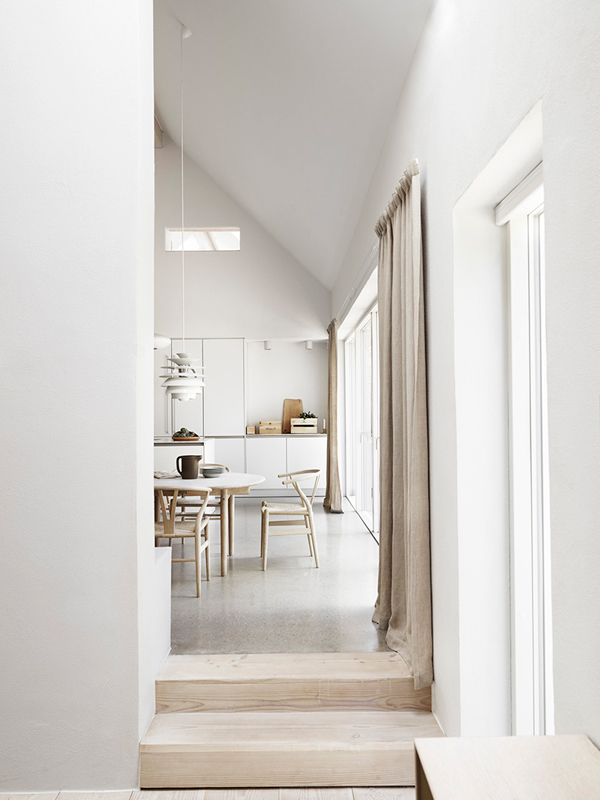 More than on Scandi total white indeed this style works on muted colours and natural hues, like brown and beige. Grey and black are also good to create a more dramatic mood, but not in an overbearing way. 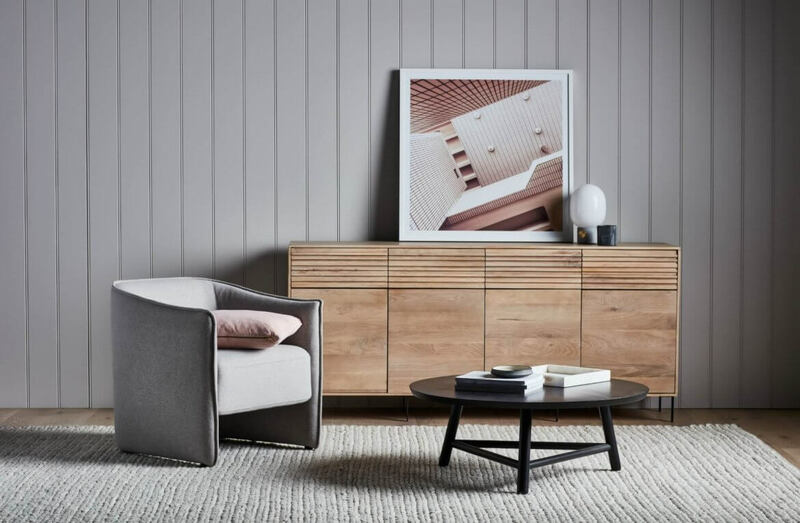 Japandi is the perfect common ground between the bright and cold color scheme of Scandinavian style, and the warm and natural one from the Japanese. You may also find cooler hues of muted pink, blues and green, warmed up with earthy details and wooden elements. 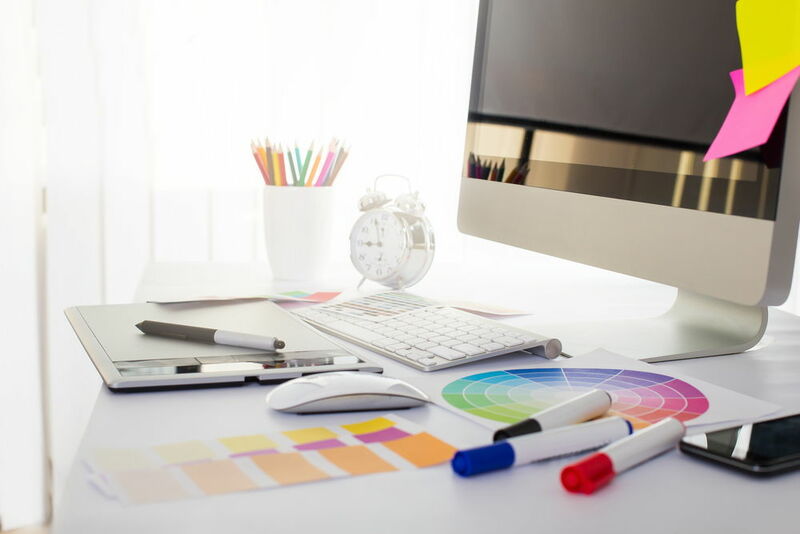 Pops of color can be introduced but always without exaggerating and breaking the minimalistic harmony of the design. Furniture pieces are chosen carefully and they are themselves statement and bold accessories. 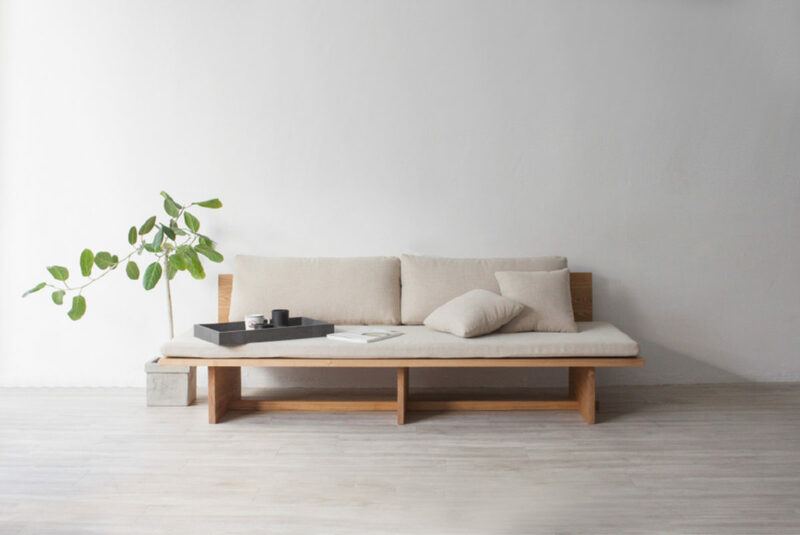 They have clean and minimalistic lines, quite low to the ground as for the Japanese philosophy which encourages the connection of people with the earth. Decor and accessories are minimal as well, mostly with plants, glasswares, books and handmade ceramics. Wall art is also reduced to a few statement pieces, no space here for gallery wall but just one big abstract framed art or maybe with a natural landscape, is enough to decorated the space in an harmonic way. ||| Remember I already introduced this trend towards statement wall against gallery wall? 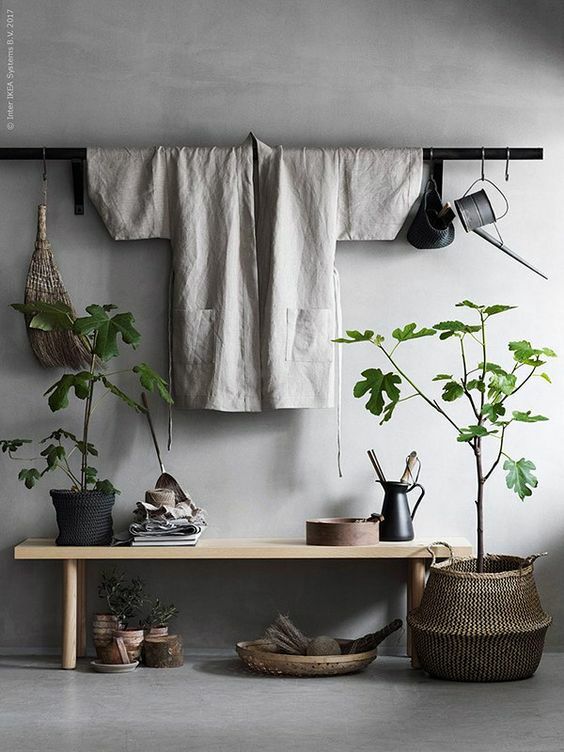 Wabi Sabi Japan ethics is based on the love for natural and handmade imperfection. Choose furniture in simple and natural materials but with high quality, such as wood with exposed gran in mid-tones. Match furniture with natural and textured fabrics, without decor and pattern, like for example linens. 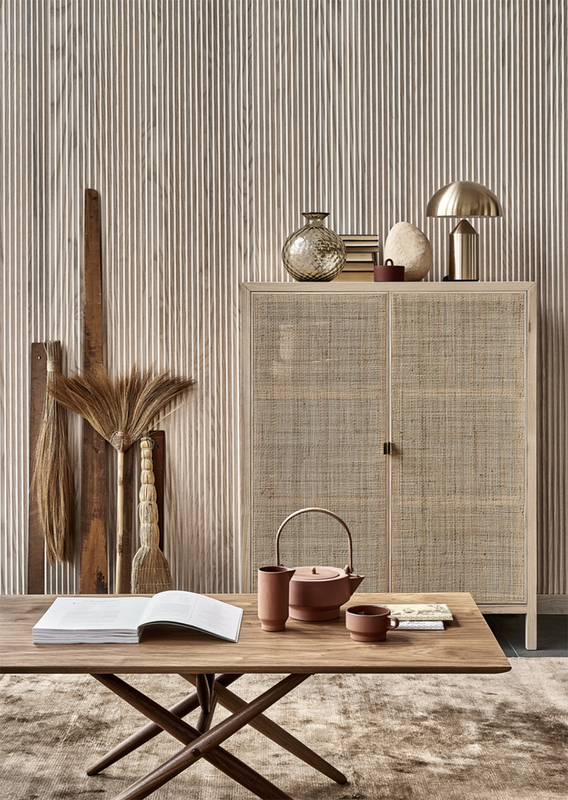 You can also play by adding some traditional Japanese fixtures, such as handmade laquered ‘urushi’ wallpaper, shibori fabrics, as well as dipped and handmade ceramics and textuted paper lamps. Japandi decor relies on the use of indoor plants the most. Blurring indoor and outdoor is one of the basics of this style and bringing green outdoor elements inside is the best way to achieve this. However, because of the strong Zen influences in this trend, the pieces are quality not quantity. This means no jungle greens here, with corners filled with plants, but just a few plants (maybe also just one) to decorated with a bold simplicity. Opt for tall plants with sleek and elegant leaves and simple form, making sure you choose well also the plant pot. Finding the perfect balance between a decluttered and minimal space and a welcoming one is not easy but it is the key for a perfect japandi interior. You can mix and match the Scandinavian and Japanese décor in several ways. 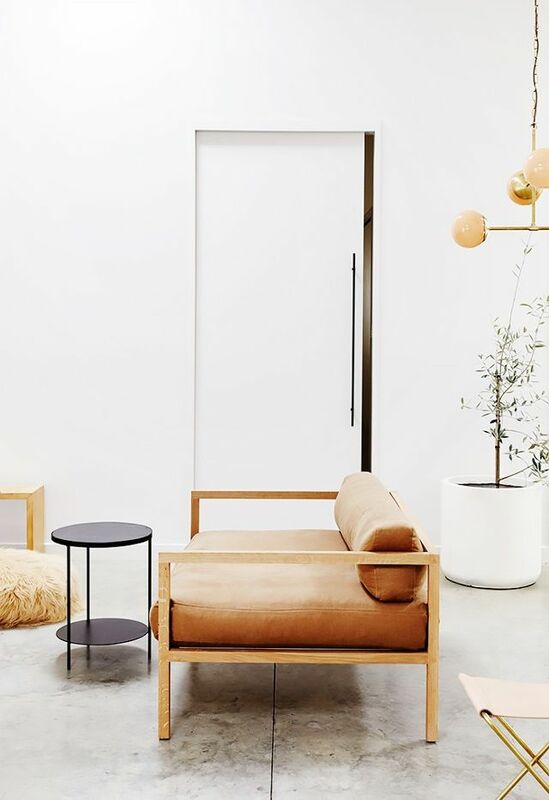 Match statement wooden coffee tables with urban chairs and sofas, then add elements in natural materials such as cork and timber. Keep the furniture low, but experiment with asymmetrical height of furniture pieces in order to break the monotony of the layout. 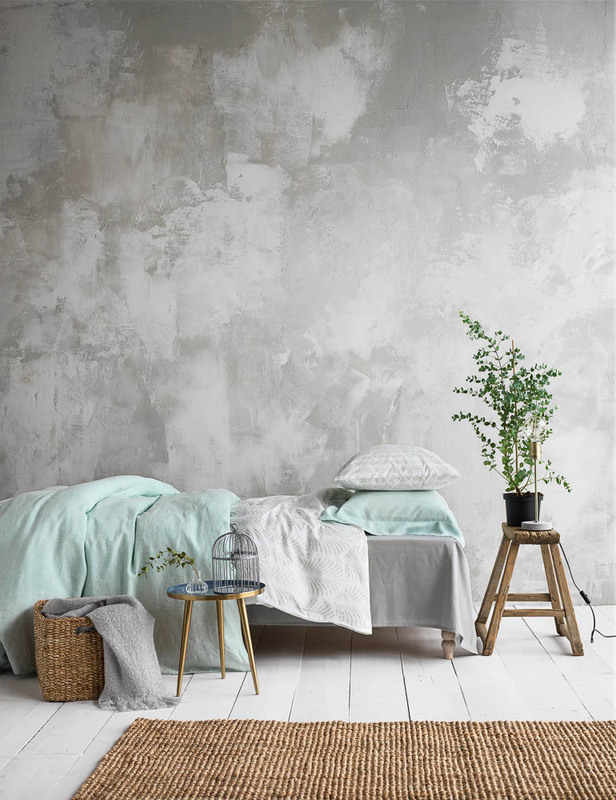 Install a wooden flooring and use cooler pastel shades for your walls, together with neutrals. 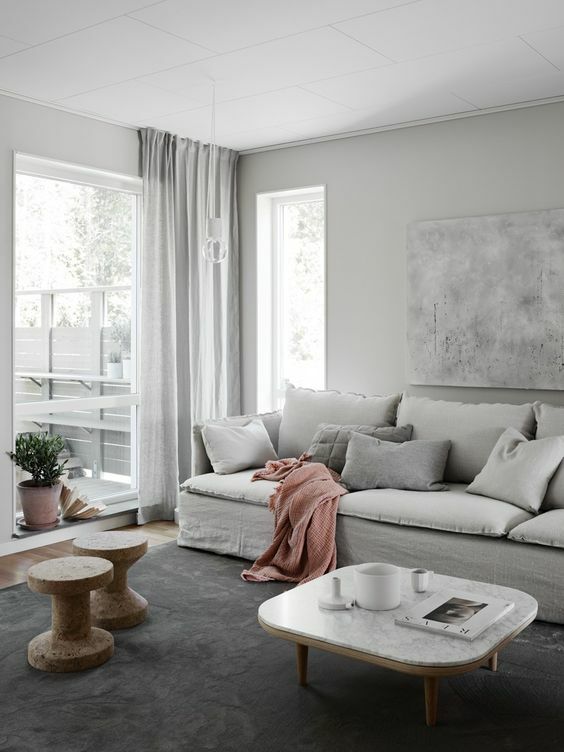 Then, make the space cozier by adding some fabrics, such as linen cushions and fuzzy rugs in plain color, and chose a statement wall art in neutral tones and a beautiful plant to be places in a focal point.